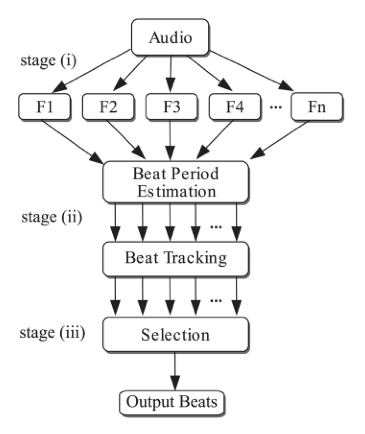 Our article on multi-feature beat tracking for the IEEE/ACM Transactions on Audio, Speech and Signal Processing is now available online! This is a work carried leaded by Jose Ricardo Zapata for his PhD thesis in collaboration with Mathew Davies from the SMC group in Porto, based on the idea of combining different experts, represented by periodicity from different onset detection functions, for beat estimation. This is a simple and clever idea, already used to combine different beat tracking algorithms and evaluate the difficulty of the task, that has been integrated in a different method.